Project Hope kids work in a garden at Boone and A Street, in the summer of 2016. If you've driven or walked through Spokane's West Central neighborhood in the spring and summer months, you may have seen them: Troops of teens wearing navy-blue T-shirts, trekking through the area. It's common to see some of these kids with unnoticed garden soil smudges on their tees, or carrying shovels and rakes slung over shoulders. 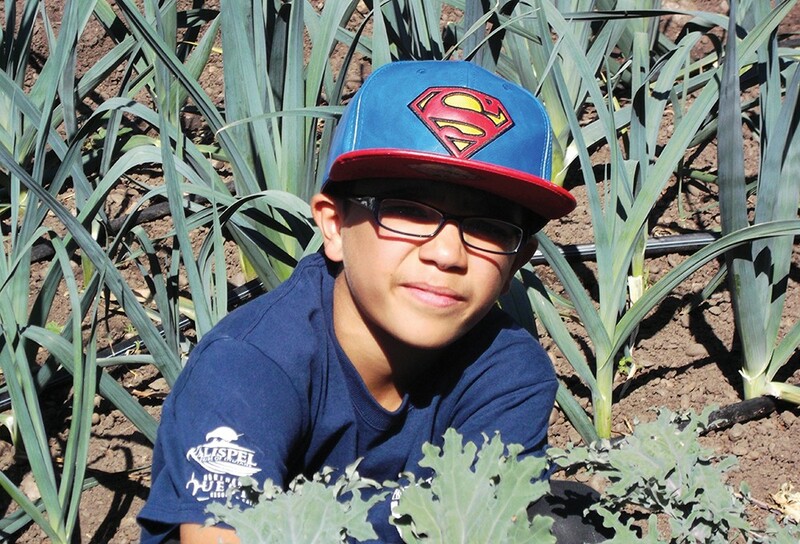 As seasonal employees of the local nonprofit Project Hope, these kids are on an important mission, tending to the organization's community gardens so they can then sell the fruits of their labor to the public at area farmers markets. At this year's fundraiser for Project Hope, the organization celebrates a decade of offering job and skills training to West Central teens, many of whom come from low-income households and rely on the opportunity to help feed, clothe and shelter their families. Luis Arroyo working in the garden. Funds raised at this annual event bring in about 15 percent of Project Hope's annual budget, which includes wages for its teen employees, explains development director Jenifer Priest. Mostly between 14 and 18 years old, some younger kids, ages 11 to 13, can also get involved in the summer training program as volunteers who are paid a small stipend. 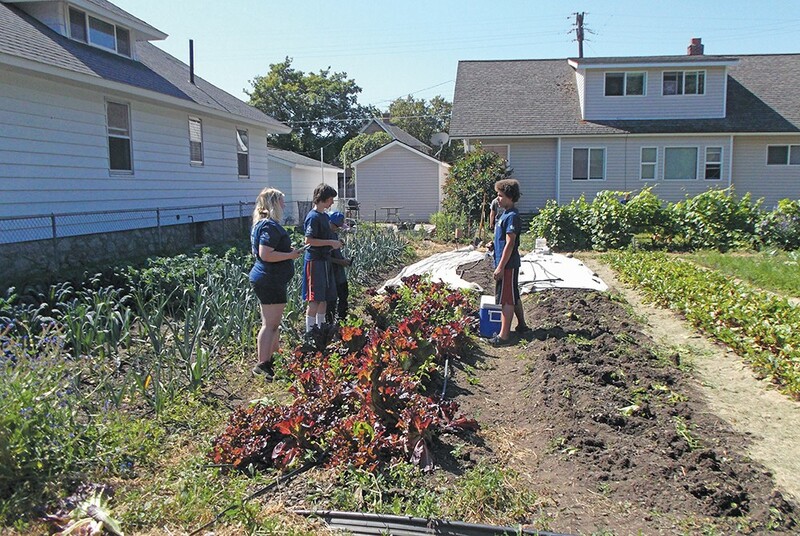 Besides tending the gardens and working Project Hope's farmers market stands (see its website for a list of where to find them), some teens are also employed in its yard care program. "We will generally have more youth than we have available spaces for, so in the end it's really dependent on how much the community is able to come out and support," Priest says. This year's Washington state minimum wage increase also impacts the nonprofit's ability to hire more kids. Priest says the organization is happy to pay its teen employees more because of the new law, but that raise directly affects the number of summer job openings. Last year, Project Hope employed around 50 local kids, but the year before that number was closer to 75. "We would love to be able to grow back up into that 60-to-75 range," she adds. 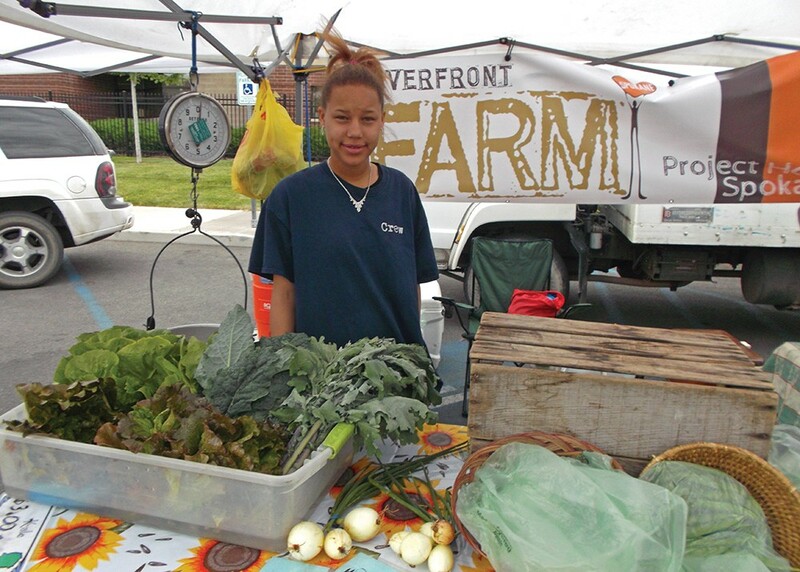 Monicea Brown sells locally grown vegetables at the the Kendall Yards Night Market. The benefit includes a plated dinner, live music by local musician Nick Grow, a gardening-themed auction and a chance for supporters to meet some of the teens who've gained important job and leadership skills through Project Hope's programs.